The Singaporean parliament recently pushed forward a bill aimed at curtailing fake news and falsehoods floating around on the internet. According to Singaporean officials, the Protection from Online Falsehoods and Manipulation Bill will help protect average Singaporeans from misinformation that the read while perusing the web, which has the potential to cause political and religious divisions among Singaporeans. Opponents of the legislation, on the other hand, say that the law vests far too much power in the hands of government authorities, essentially letting them determine what is “true” and “untrue”. If an organization or company were to publish any information about the Singaporean government under the new law that is deemed false, then they would be ordered by authorities to issue a correction or retraction of the statement. Social media sites that simply function as a platform for individuals to post their thoughts would also be subject to the anti-fake news law. 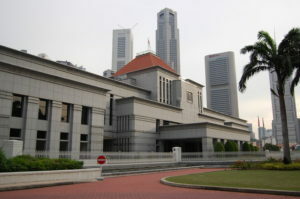 Although the Singaporean government states that the law will not be used to quell freedom of expression online, but some argue that the law is far too sweeping and vague. Just today, new Malaysian Prime Minister Tun Dr. Mahathir Mohamad said that his country would repeal its anti-fake news law and publicly denounced Singapore’s proposed legislation.